Fixer-Upper » Victorian homes – great photo gallery! 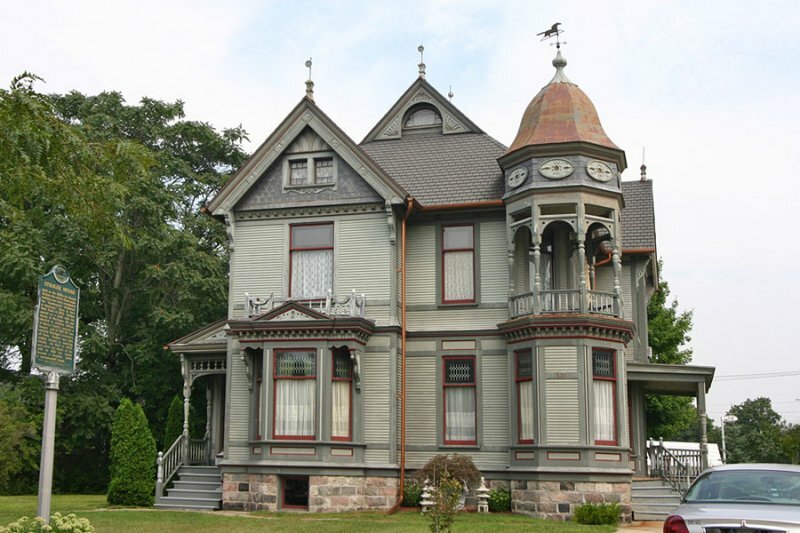 Victorian homes – great photo gallery! Photographer Phyllis Stewart has a great gallery of Victorian home photos, both interior and exterior. I came across these while searching for exterior color schemes for our upcoming (hopefully? if we can afford it? and if our sanity remains intact?) painting project. Because if all goes as planned, we want to start scraping and painting the exterior as soon as weather permits. But this requires a HUGE color decision that we are going to have a really tough time making. So I’m arming myself with all the inspiration I can find. I’d always rather have too much than not enough. The interiors are just as good, so even if you’re not picking paint colors it’s a site worth visiting. Admit it – you’re all as voyeuristic as I am. Go have fun peeking into these homes! the other nice things about that gallery are the variety it shows among victorian styles (stick, shingle, etc.) and the ability to see features like, say, porch styles and other details that vary among them. it includes some houses that i don’t think i’d classify as victorian, but they’re still all great to see. thanks for sharing! omg…p0rn of the best kind! I love, love, love old Victorian homes. love them! Thanks for sharing the link and I also really like the above photos color scheme not to mention the fantastic upper porch/balcony :) All the wood in the second photo is drool worthy as well. Wow! I found these a few months back and was awestruck by the incredible collection she had. Truly amazing. Having spent the best part of a day poring through some (still not all) of the Victorian-home photos, I feel as if I had just polished off 2 pounds of See’s best chocolates. Thank you for bringing this site to our attention. I agree with Lisa about not all being strictly Victorian but the woodwork alone is worth the viewing. P.S. — That should be pouring, not poring. Sheesh! I can’t even imagine how hard it’s gonna be for y’all to pick paint. It was hard for us to pick two colors. I don’t even want to think about the bloodshed if more had been involved. I agree about the muted colors. I’m a big fan of olive. The Hastings house I have visited many times…Beautiful! I have a couple of impressive homes to share with you. The Carson Mansion in Eureka, California is one of the most impressive victorian homes I have ever seen in my life. 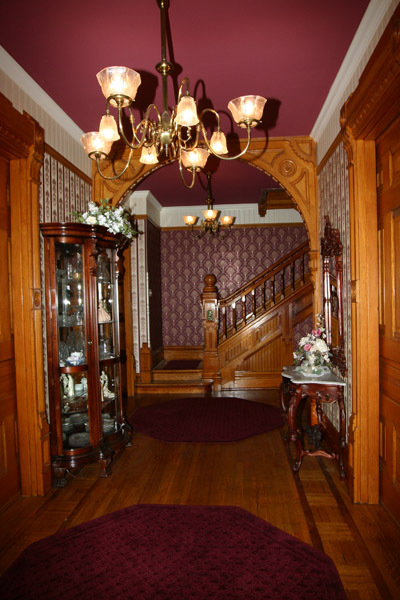 It is home to the Ingomar Club so just visit their website for exclusive photos. Also, the Eudorus Johnson house in Irvington, Indiana. There are not many photos of the Johnson home, but I have plenty if you cannot find any. Simple google image search should turn some up, but this house is a gem tucked away in a very small suburb of Indianapolis. Not many have seen it. Both of these houses are worth the time to look at. Stunning!